Hunted Cow Studios announced today that the second phase of Closed Beta for Eldevin has launched. This new version of the game features a plethora of new features and improvements as new professions, new vanity items, improved UI and sound effects, new zones, PvP modes and a lot more. 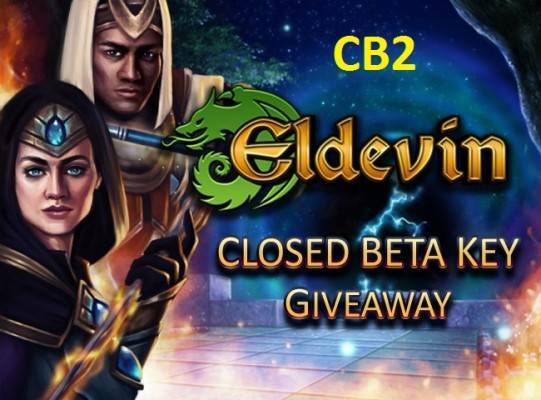 To celebrate this event we are teaming up with Hunted Cow Studios, Ltd. to offer you an exclusive Closed Beta Key giveaway for this Closed Beta phase. The Promotion will end on July, 31th 2013. Step 2. Go to Eldevin's offiicial website and create an account. Step 5. Enter the Beta Key and click 'Activate Key'. Step 6. Check your email for instructions on how to play. Step 7. Visit to Eldevin's official website to play.